InvestKAR India Consulting Private Limited is one of the fastest Growing and Leading Real Estate Consulting & Brokerage Company providing consulting in Noida , Ghaziabad, Noida Extension(Greater Noida West) , Expressway and Yamuna Expressway region. 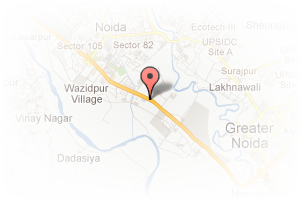 Address: vill-ballukhera post dankaur distt-g.b nager, Dadri Road, Greater Noida, Uttar Pradesh, India. 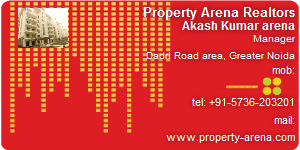 This Builder Profile page for "Property Arena Realtors" has been created by PropertyWala.com. "Property Arena Realtors" is not endorsed by or affiliated with PropertyWala.com. For questions regarding Builder Profiles on PropertyWala.com please contact us.